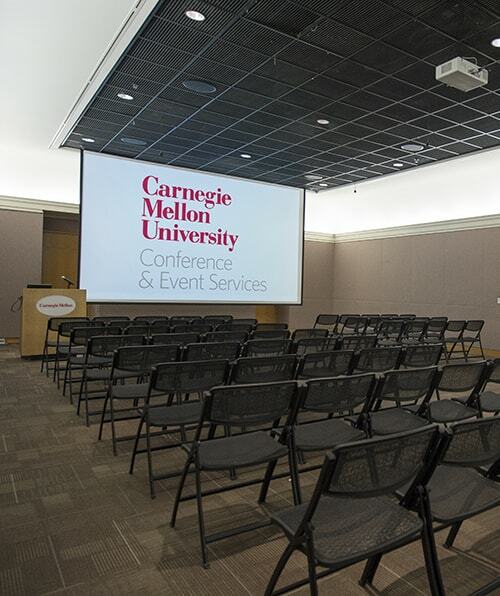 Conference & Event Services can assist with all of your audio/visual needs at Carnegie Mellon University. We partner with the university‘s Media Technology (MediaTech) Department. MediaTech is equipped to handle most of your audio/visual needs for your next event. They offer services from microphone rental to on-site video camera operation. Conference & Event Services can also work with external audio/visual companies for events that are off-campus or require services outside of MediaTech's scope. For more detailed information about audio/visual equipment available for rent, please contact Conference & Event Services.